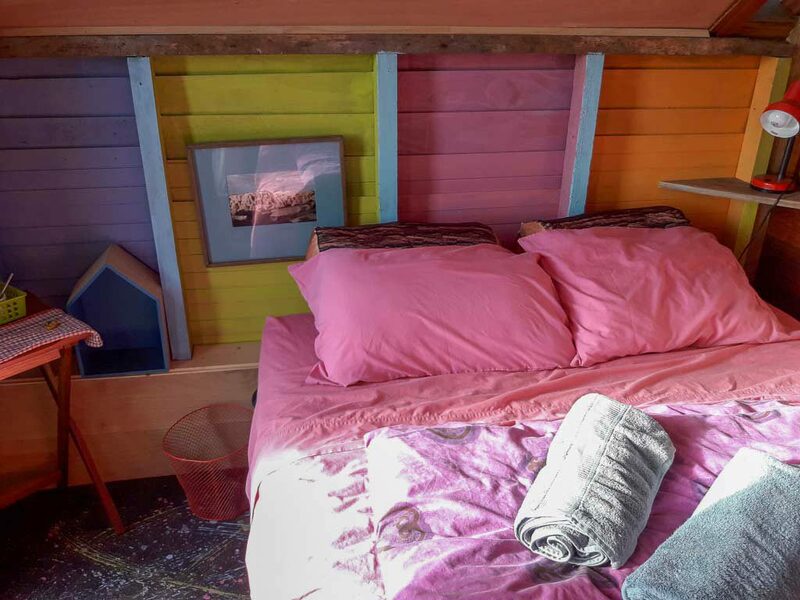 In this romantic room called the Kingfisher Hut, you can experience a intimate honeymoon night or two overlooking the bay at sunset with a glass of Champagne. 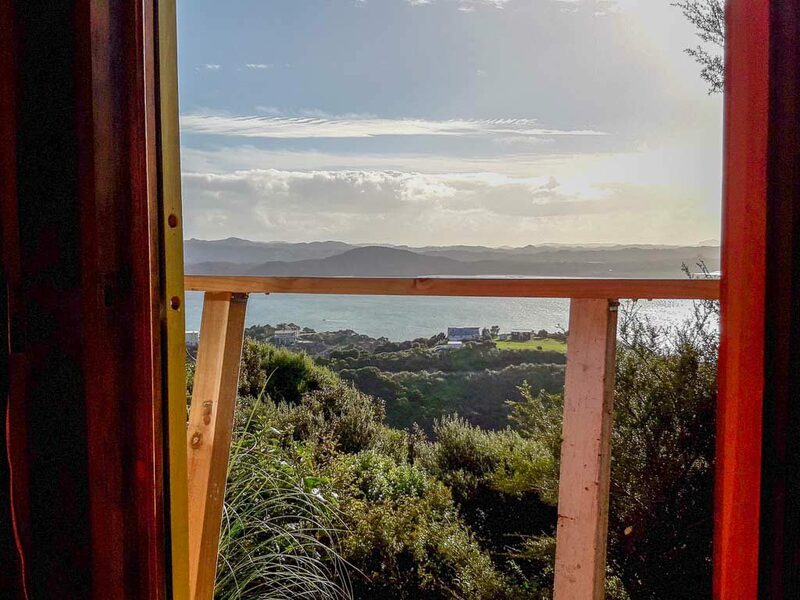 Rusticly built hut for couples or singles looking to be within a nature setting but still only a 5 minute drive to Tutukaka Marina restaurants, cafes and the stunning Mermaid Pools at Matapouri just a few more minutes drive. Confortable queen size bed with power ligthing, internet access, coffee and tea making facilities with cuttelery and fresh water. For those cooler nights, we provide an electric blanket to get you cosy and warm. 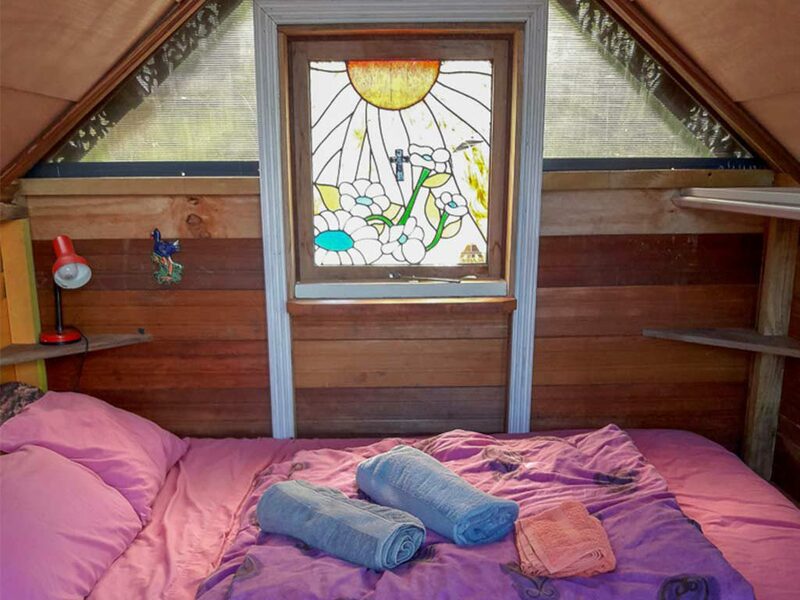 This hut is very popular with couples, so advanced booking are essential. 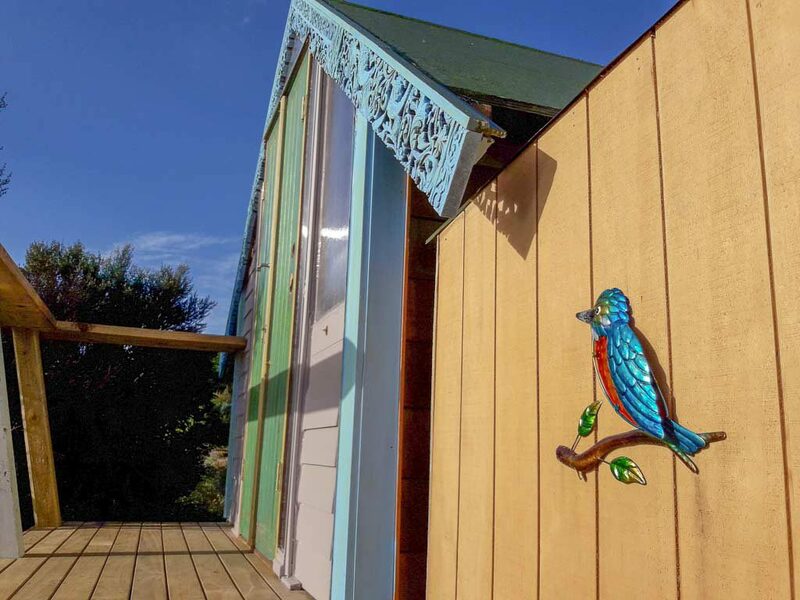 The Kingfisher Hut is perfect for 2 people, honeymoon couples or solo travelers looking for a unique glamping experience in New Zealand. 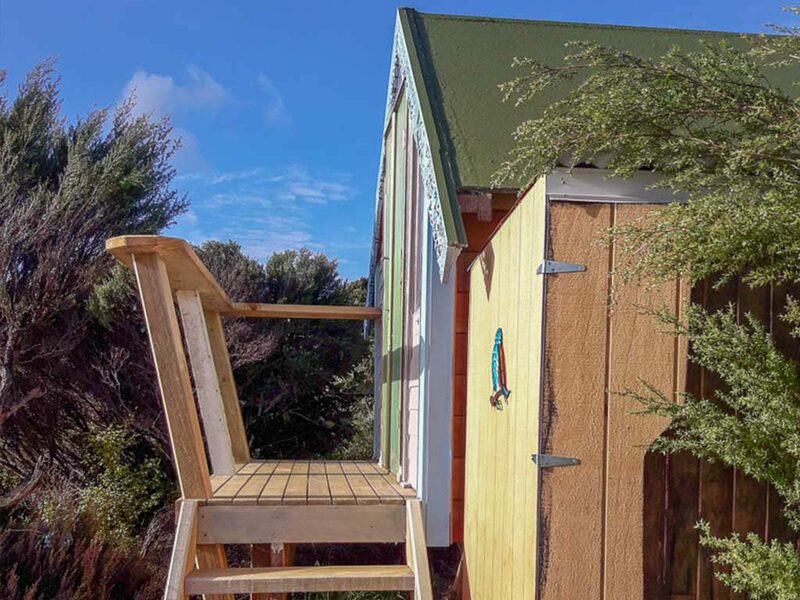 This is your romantic hideaway with the best Pacific Ocean views on the Tutukaka Coast. 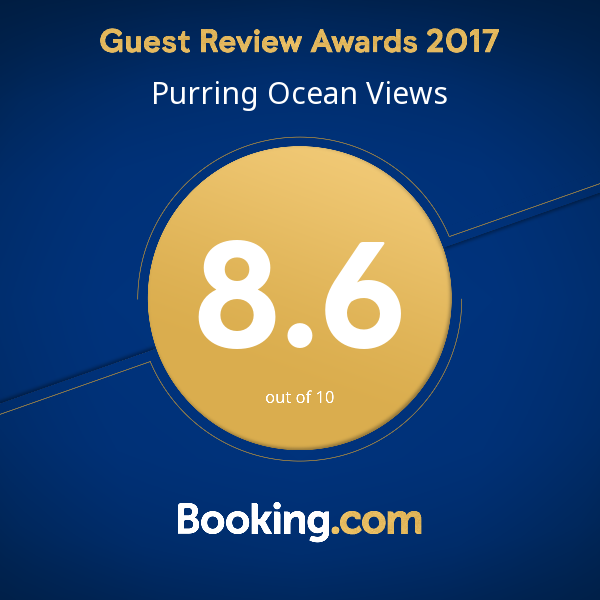 Come and experience the stunning sunrises over the Poor Knights Islands and the breathtaking sunsets over Wellington’s Bay and Nhunguru Sand spit and waterways. 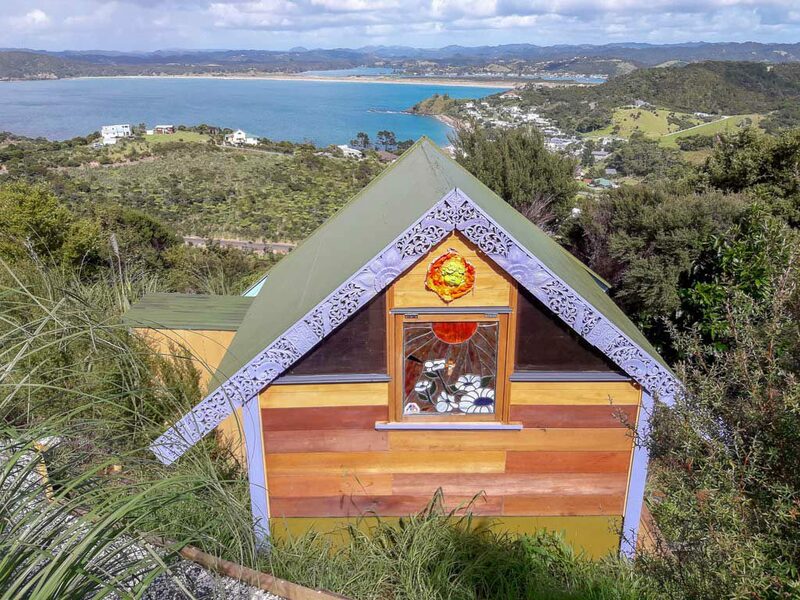 For families, we have an additionnal Huia Hut and Nutshell Caravan all located closely for your separated family space and comfort. 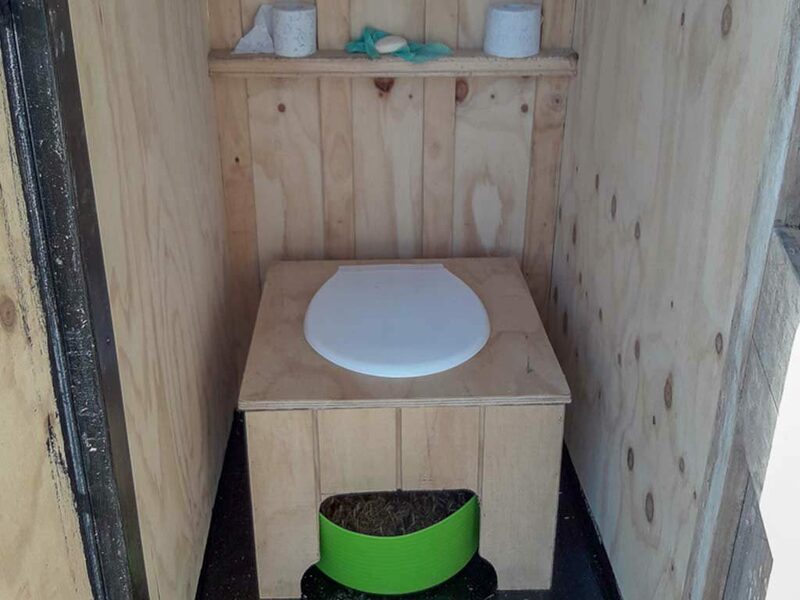 The Kingfisher Hut comes with a traditionnal European style eco-friendly secluded dry toilet and a charming hot bush shower with good pressure. An outdoor bartop and stools are provided, altough their is no cooking facilities, we supply plates, cups, cutlery, jug, coffee and tea. 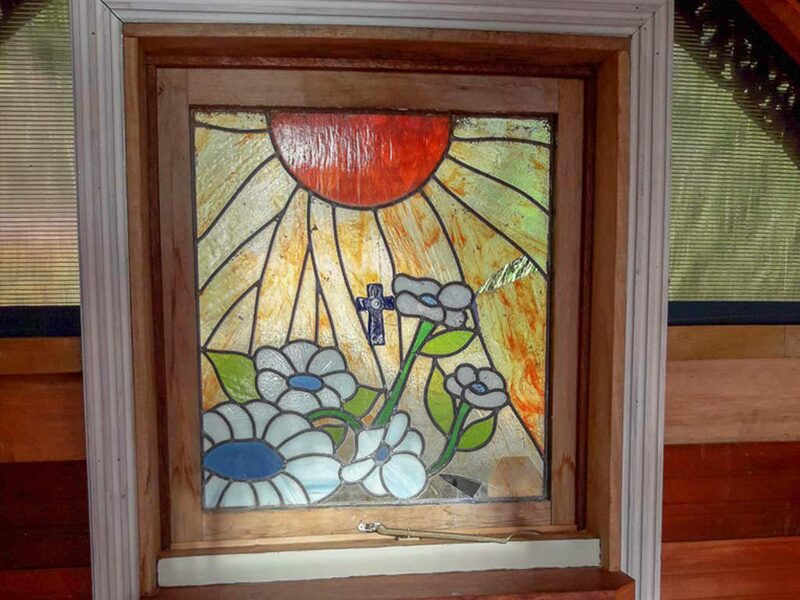 Cafes, restaurants and takeaways are within a 5 minutes drive from Ocean Purring Views. Incredible view and part of the Northland! Loved our stay in the Peacock suite. Breathtaking views, what a place to come and recharge the batteries. Thank you to Brigitte and Grant, our lovely hosts for sharing their piece of paradise. Would recommend to all and would love to revisit in the future.